The Chateau 9.5-inch Pendant provides abundant light to your home's interior, while adding style and interest. Transform your living spaces with this Industrial fixture that enhances a variety of interior design themes. The Chateau Collection features a Clear Glass bowl shade that is open at the bottom. Enhance the charm of this machine shop style pendant with a filament bulb. Fixture does not include bulb. A round ceiling canopy and match cord are included for an adjustable hanging height. 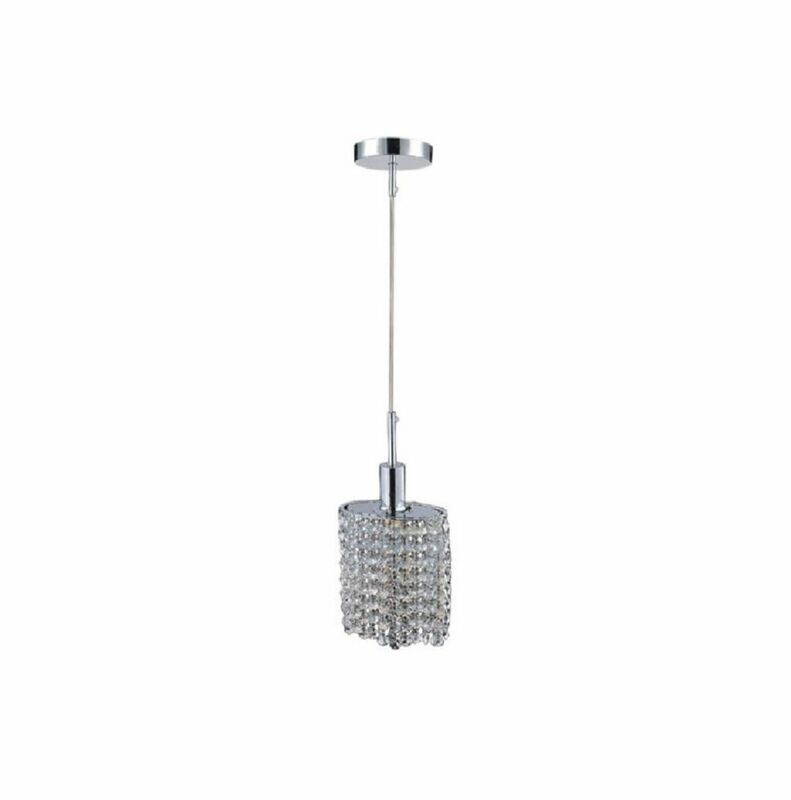 This breathtaking 1 Light Mini Pendants with Chrome Finish is a beautiful piece from our Orchid Collection. With its sophisticated beauty and stunning details, it is sure to add the perfect touch to your dicor. This breathtaking 3 Light Mini Pendant with Black Finish and Clear Crystals is a beautiful piece from our Renous Collection. With its sophisticated beauty and stunning details, it is sure to add the perfect touch to your dicor. Oval Single Pendant With Double Strand Clear Crystals On A Round Canopy An oval single pendant trimmed with clear crystals.